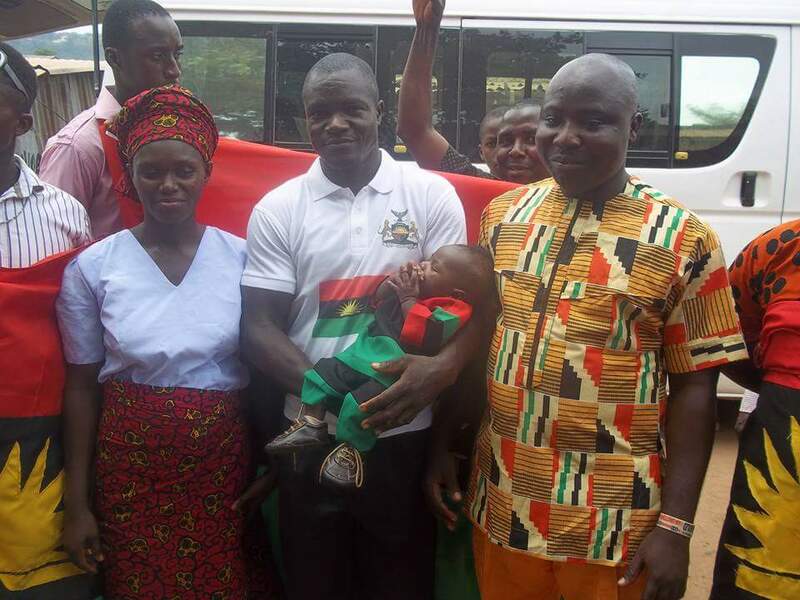 ENUGU— It is widely believed that a child is a blessed gift from the most High God and that alone explains the reason why the vicinity of Christ Ascension Church, Iva-Pottery, Enugu District, literally came to a standstill in honour of a newly born Biafran baby boy, Master Nnamani Elisha Onyedikachi, who, last Sunday was dedicated to the house and hands of God. Accompanied by the Iva-Valley Pottery zonal family of the Indigenous People of Biafra, IPOB, who used the rare opportunity to spread the gospel of the restoration of the Sovereign state of Biafra, the father of the child, Mr. Sunday Nnamani, who is a member of the zone, with his wife, all gave thanks to God for the fruit of the womb. Speaking during the ceremony, the Iva-Valley Pottery zonal Coordinator, Mr. Iganga Sunday who offered prayers for the child who was adorned with the beautiful colours of Biafra attire, urged the Church to fully support the quest for the restoration of Biafra which according to him, “it’s our only hope to secure our future and that of our unborn generation,” adding that it is only Biafra’s freedom that will guarantee the security and protection of lives and properties from the menace of rampaging Fulani herdsmen and other social vices. 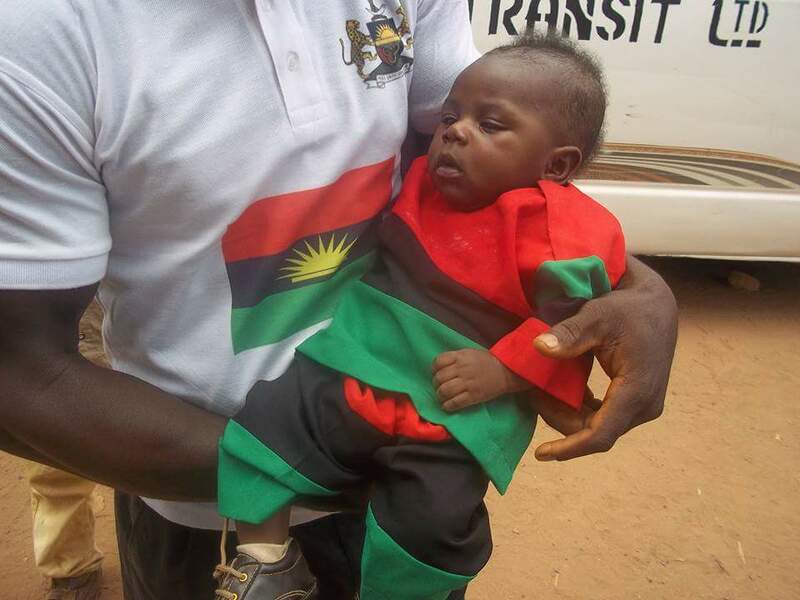 The Coordinator who expressed profound happiness on sighting the baby, stressed that for the fact he was dressed-up in a Biafra regalia is evident he was brought to the world to join in the fight for Biafra’s freedom. 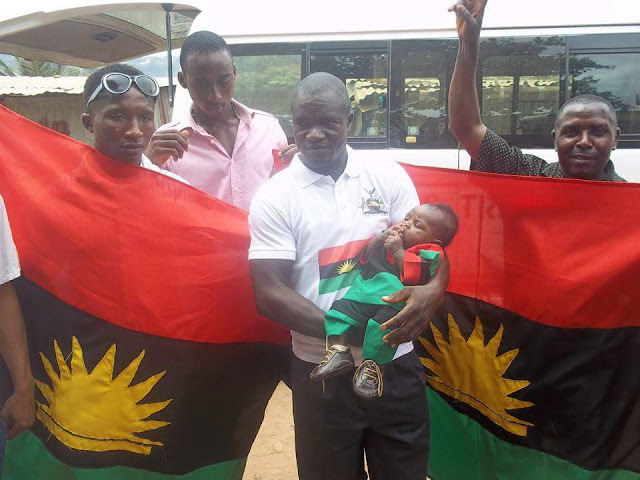 Concluding, he urged the Church to always remember the detained IPOB leader, Mazi Nnamdi Kanu, in prayers, so that he regains his freedom from the enemy’s camp. On his part, the father and mother of the child who expressed their gratitude, thanked members of the church, friends and families for honouring his invitation as they also joined in the prayer for Kanu’s immediate release.